If once really a slight mishap occurs to you and the robust bottom bowl should be broken at some point after all, you don't have to buy the complete Lucky-Kitty drinking fountain new - we also offer each part separately as replacement of the Lucky-Kitty. As the Lucky-Kitty is manufactured by handicraft to some extent, there are slight variations in the bowl sizes. 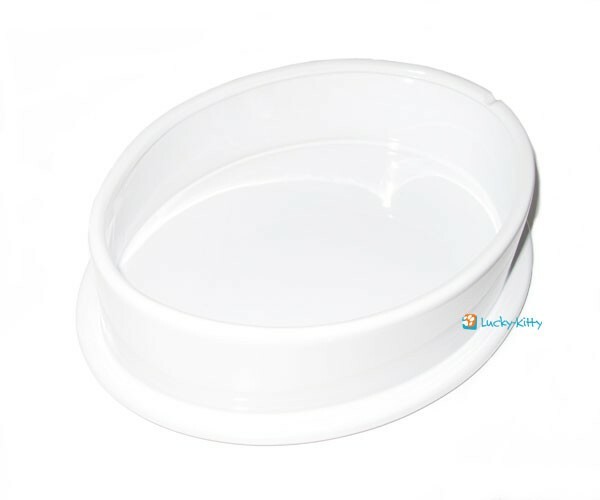 In order that your replacement bowl will fit perfectly, please measure the intact top bowl (length and width as shown in the illustration) and send us this size (an according input window will open after having added the article to the shopping cart), so that we can send you an exactly suitable replacement bottom bowl. 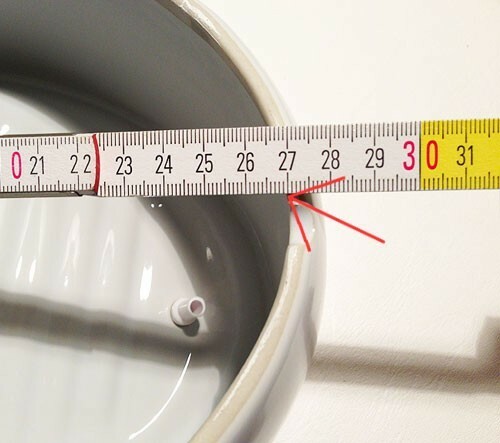 The correct measurement (lenght) of this bowl is 27.0 cm.